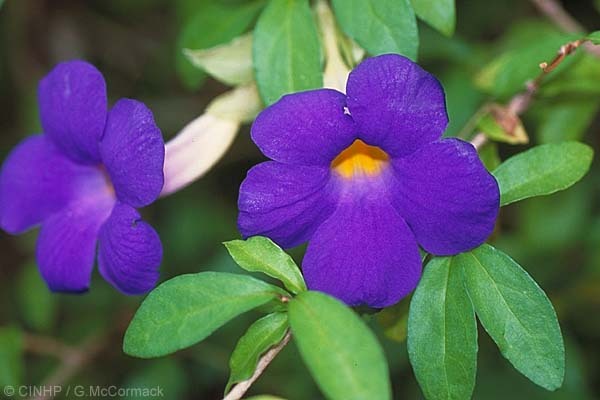 KEY FEATURES: An erect shrub to 2m with dramatic blue-violet flowers. LEAVES opposite, oval, 6cm. FLOWERS axial, solitary, 5cmØ; tube yellow-cream, 7cm long; lobes, 5, rounded,dark blue-violet. Variety 'Alba' has white flowers.